Nice darker textures for your BC-304 model. To my eye, these look a lot closer to the SG1 canon than the previous editions. A big thanks to peanutbutter for that extra effort here. 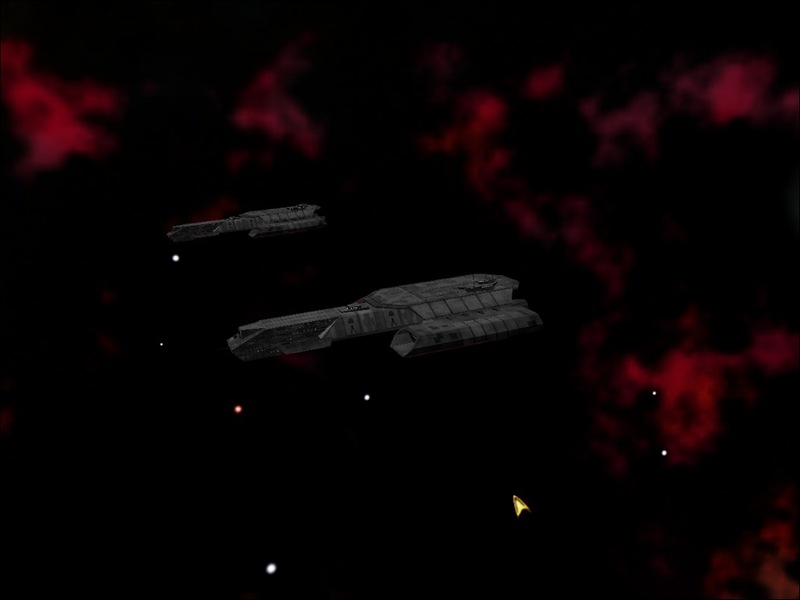 For some reason the Armada engine renders the textures too bright, more then they should be, so too compensate, i have darkened the textures a tad bit. So, let me clarify, these are the same exact textures, just darker. Why now you ask ? Because I had tested the 304 on my own maps, which are very dark maps, with very little lighting, i did test on a few stock maps, and saw how ugly the textures were, but at the time, i didn't realize darkening the textures would make much of a difference. And i was searching for a way to add speculars (Romulan and Klingon bases have specular textures, you can check by rotating the camera around them) because the ship on the show has that shiny metal look when in light, and i was trying replicate the same effect. Unfortunately, the only way to add speculars in A2 is if one had a copy of 3DS Max, which one (I/Me) doesn't. And people, i could use some constructive criticism. I dont' understand, what do you mean by color in the engines ? I have used alpha maps in the textures, so they should light up in darker maps..
And do you mean to say that the 302 bays are too dark ? sorry but i ment that the engines are the same colour as the ship and the upper section of the 302 bay is black while the rest of the ship is brighter.